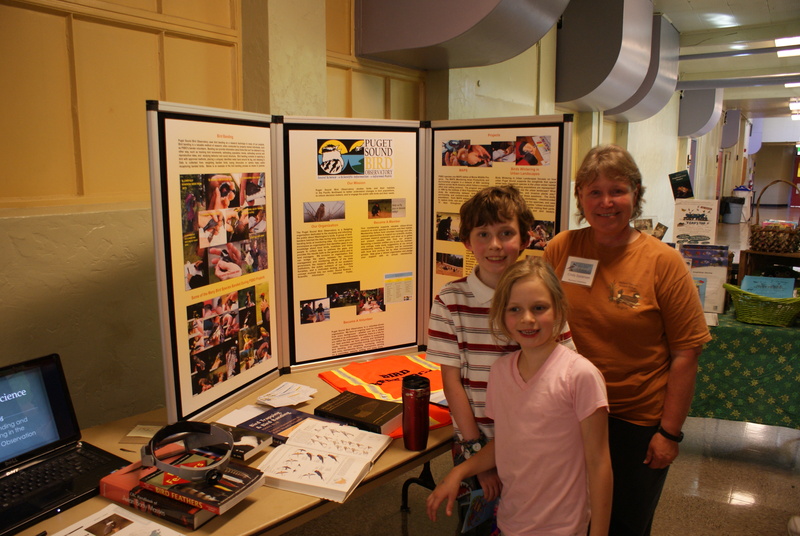 This past weekend we went to the Puget Sound Bird Fest in Edmonds. On Friday evening I went without the kids to the Opening Presentation by Paul Bannick. He is an author and photographer who published a book about owls and woodpeckers. 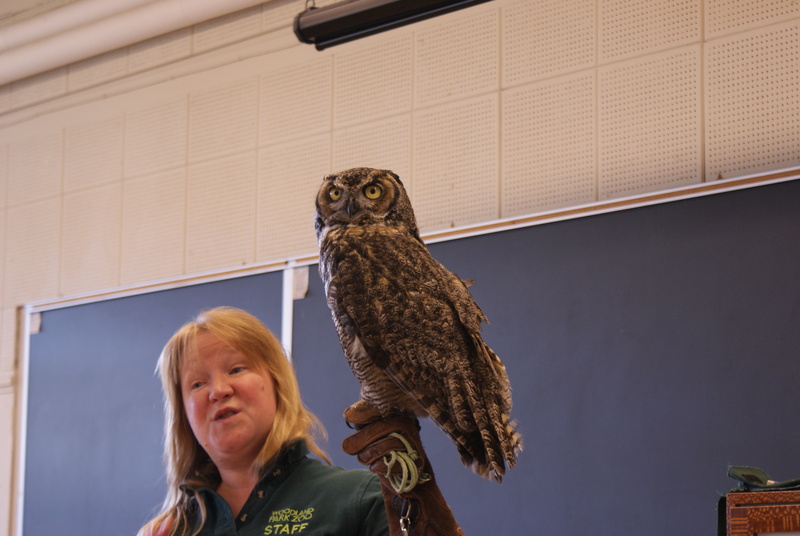 This presentation was about Owls of Washington by Season and Habitat. He had some amazing photos of owls in the Pacific Northwest, from all over the state. It was so cool to get a close-up look at our nocturnal raptors. 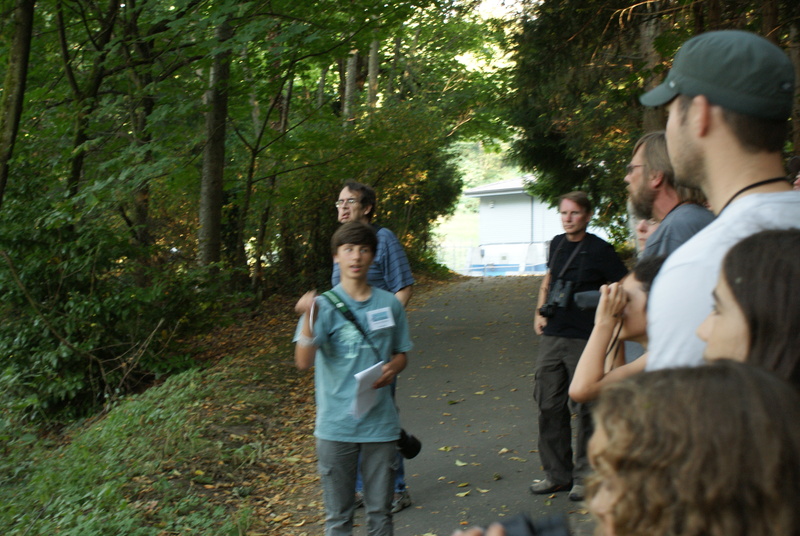 On Saturday we woke up early and met some friends at a local park for a guided bird walk. 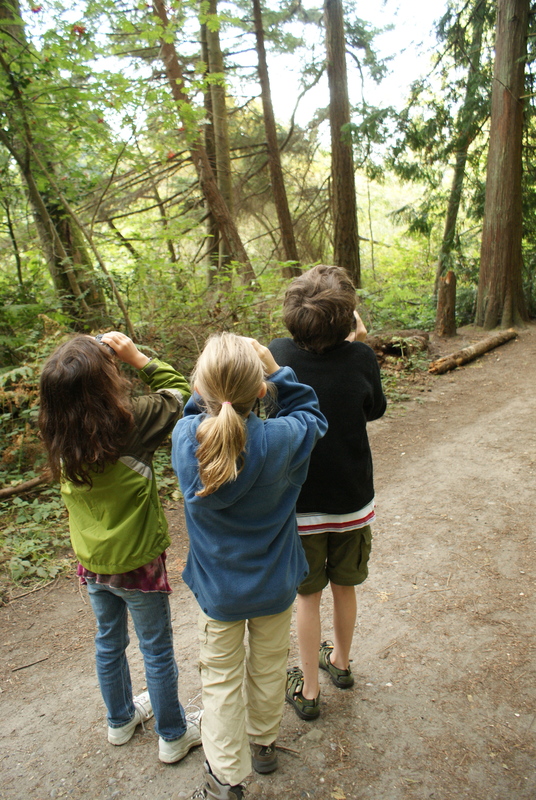 Things were pretty quiet in the forest, but the kids enjoyed the ducks we saw and the golden-crowned kinglets. 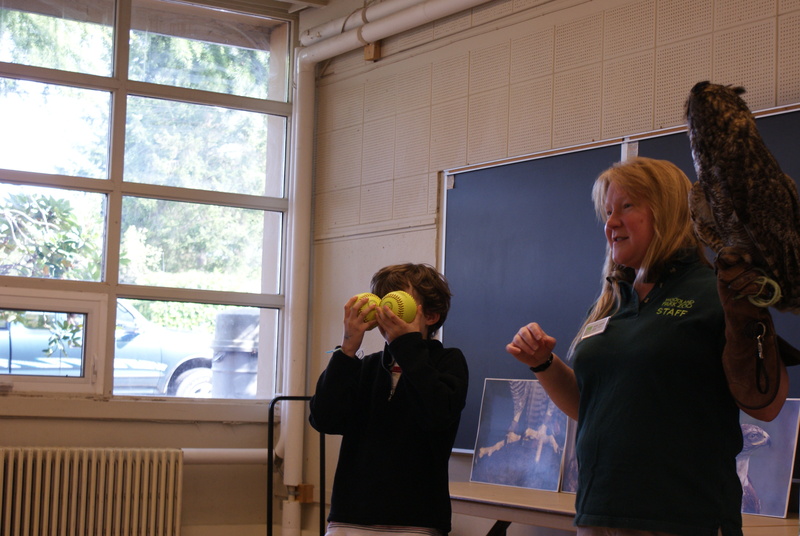 and then we got to see a presentation by the Woodland Park Zoo about owls. The keepers brought 2 owls for us to see. 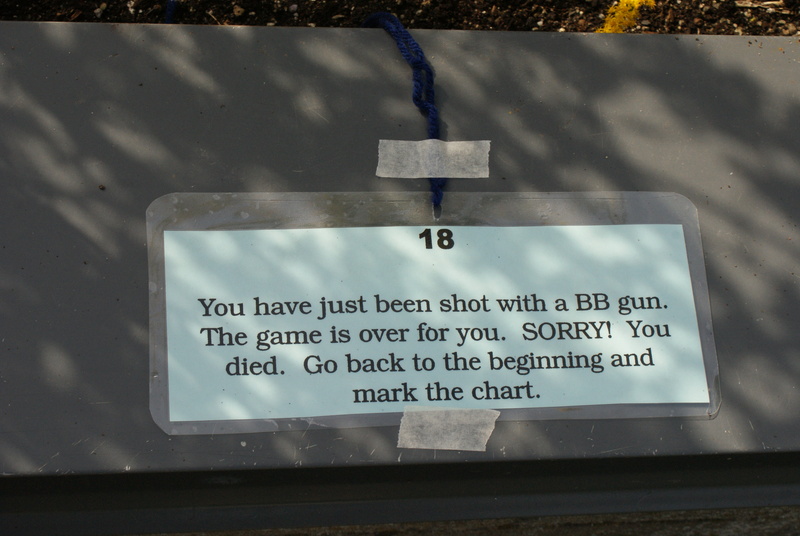 We had to be quiet and still for the whole hour so we didn’t spook the birds. We learned a lot about these wonderful creatures. 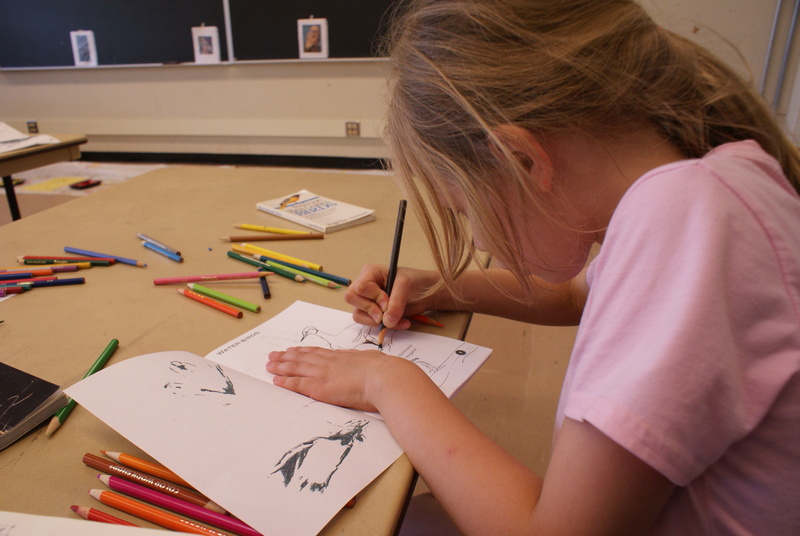 We spent a long time eating lunch and playing on the playground, then went back into the cool rooms to have some quiet time doing art projects while we waited for the afternoon presentation. Lorenzo Rohani and his dad, Michael have published a book called A Kid’s Guide to Birding. Lorenzo became interested in birding at age 5, and started photographing them at age 9 with his father’s camera. Now they’ve put together a book with tons of good tips for birding and fabulous photos of local birds. Stay tuned in the next few weeks to learn more about this family! I had planned for this to be the end of our day, but the kids were really interested in Lorenzo’s talk. 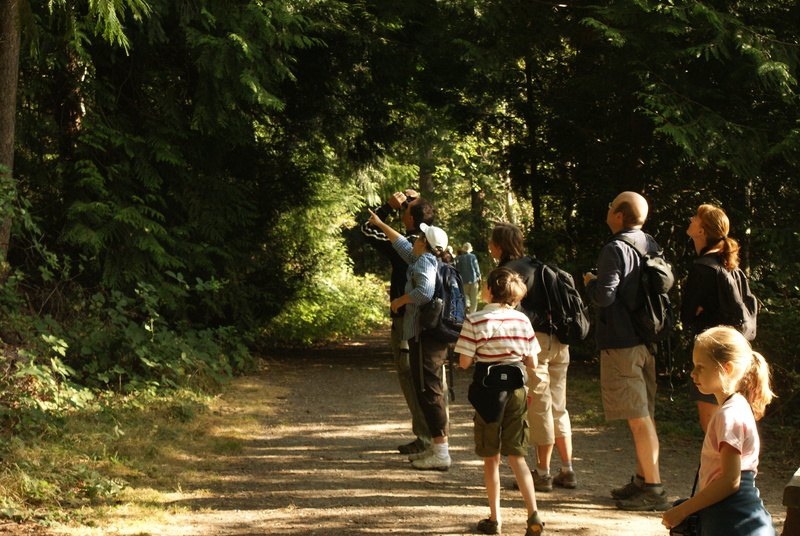 They begged me to join Lorenzo’s bird walk at Yost Park afterwards, so we quickly scarfed down the rest of our snacks and went up to follow him through the forest. Things were quiet there, too, but the kids were much more interested than they were in the morning, perhaps because Lorenzo was more animated and talked more about what we were seeing and hearing. We came home all filled up with new knowledge and inspiration. We saw some friends at the Bird Fest exhibiting, and got ideas for the future. This is the most involved we’ve been, and it was really worth it to attend this free community event.